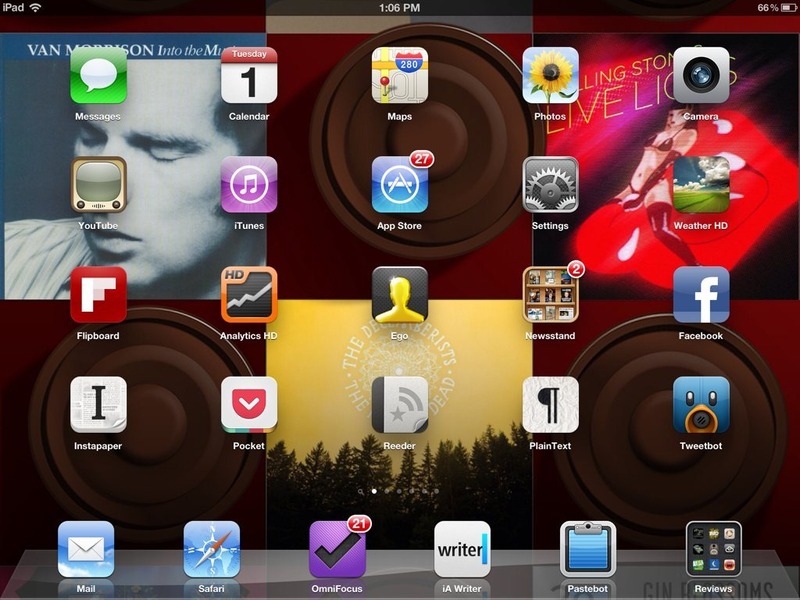 • Open an app folder when you are using a shelf wallpaper – WOW! It’s currently priced at just $0.99 – listed as a 50% off launch special price. For starters as I said above I just love the idea of this app. 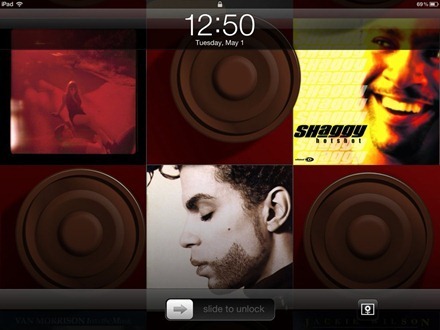 It lets you make your iPad wallpapers very personal. 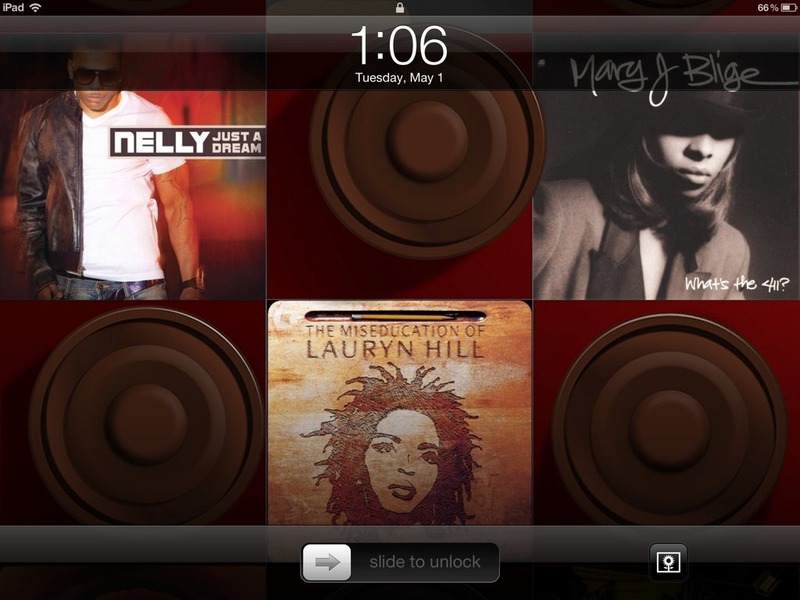 If I feel like having an R&B themed wallpaper I can create one by using images from albums by Lauryn Hill, Mary J. Blige and Nelly as at the top of this post. If I want a more rock feel to my wallpaper I can grab art from albums by the Rolling Stones, Black Crowes, and Pink Floyd. And I can choose from a good range of background themes (there are currently 20 of them) to combine with the album choices to end up with a nearly limitless range of combinations and possibilities. The wallpapers look great on the lock screen and the home screen – and they’re retina display ready for looking even more stunning on the new iPad. The app is easy to use – you start off by choosing a song to accompany you while you’re creating wallpapers (if you want) from a random selection that appears when you open the app, hit the Wallpapers button to select a theme you like, and then choose album covers you want to fill in the spots for them in the theme – or let it autofill with album art if you prefer. There are icon shelves themes as well as standard wallpaper images. The UI is designed to mirror the design of my late Father’s stereo receiver. The idea for the app came to me when we were cleaning out the basement after he passed, we were going through records and stereo stuff. I felt bad that we had to get rid of that stuff so I wanted it to live on in the UI of our app and the concept. The record background was the first one we designed. Even the “Big V Audio” logo is a homage to our father. His name was Vince and we wanted to put a little something special in there, so I made him a logo. — Some of the themes let you choose more album art than will be fully displayed when saved as a wallpaper, in others the full wallpaper may display in one orientation but not both. I’d like to see this refined a little so that walls fit a bit better in both portrait and landscape. Having a preview mode would be useful for this too. — The app itself doesn’t rotate to landscape mode – I’d like to see it work well in both orientations. 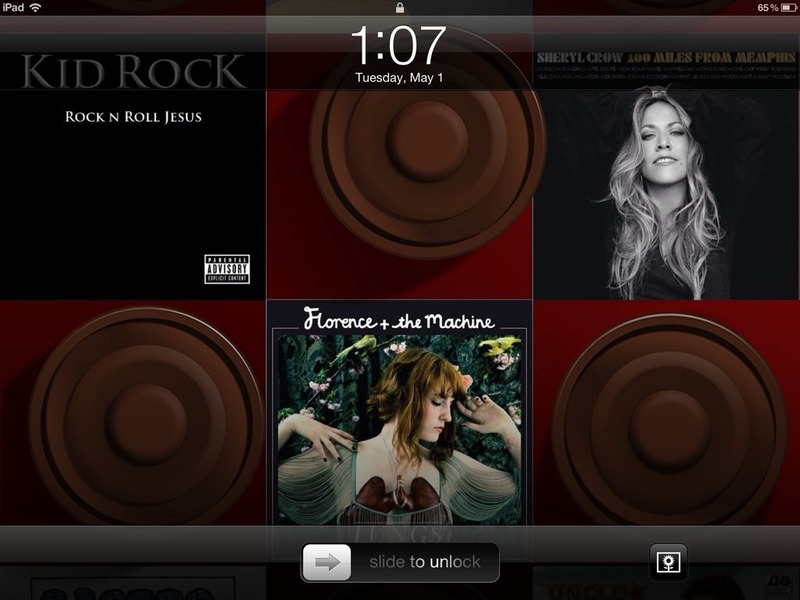 — The Jukebox mode in the app lets you pick from two random tracks but it lacks some needed controls, starting with Stop and Pause buttons. Also, if it’s going to let you choose your soundtrack, it should offer more choice than just two randomly selected tracks at a time. Album Art – Home Screen Wallpaper is a great idea and a great app. If you enjoy music and like giving your iPad home and lock screens a real personal touch then you’re going to like this app a lot. It’s got a ton of repeat usage value to it because the possible range of wallpaper designs is close to endless. 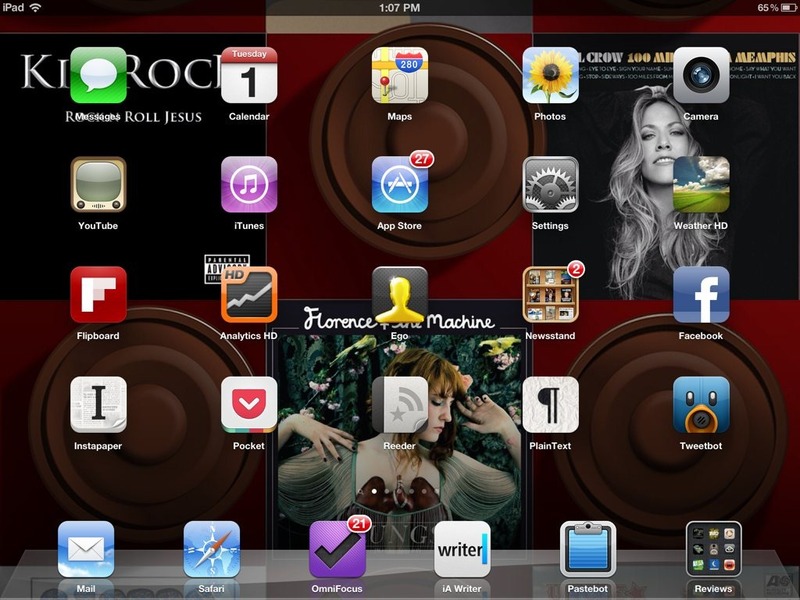 I’ve had a blast using it today and I only have a fraction of my music collection on the iPad. I could easily spend an afternoon just messing around creating new walls with this app. 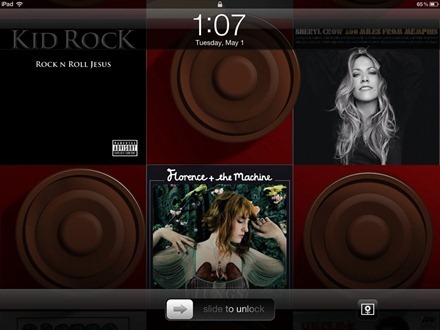 Here’s an App Store link for Album Art – Home Screen Wallpaper. Disclosure: This app was independently purchased by the post author. For further information about our review policies please see our About page.